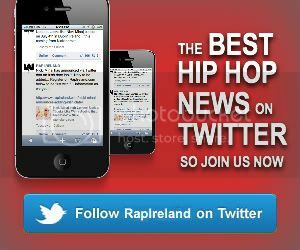 RapIreland.com – The Home of Hip-Hop and RnB in Ireland FEATURES Björk and Hip Hop? Anyone who’s a fan of either Björk or Timbaland may already have an inkling as to what the article is about. Think back to 2007 when one of the most bizarre musical collaborations ever was announced. Timbaland was going to be the lead collaborator for Icelandic singer Björk’s seventh studio album Volta. Timbaland rather controversially and erroneously stated that the then new album was pure Hip Hop, and anyone who’s familiar with Björk’s work knows that this wouldn’t be outside the realm of possibilities. Just check out the remix of Björk’s Oceania which features R&B singer Kelis in a way you’ve never heard her. Volta finally got it’s release and fans were happy to discover that the album couldn’t have been any further from Hip Hop if it tried. Whilst waiting in giddy anticipation for the release of Björk’s eighth studio album Biophilia (release date October 2011) I decided to listen to her old stuff, as I’m a huge fan. I came across something that took a few listens before I finally believed it. Fast forward from 2007 to 2010 when once again Björk is hiding from the public eye, waiting for the right moment to make her move. Gangsta rapper E-40 released his twelfth studio album Revenue Retrievin’: Night Shift. The album featured collaborations from Snoop Dogg and Jazze Pha, to keep the list short. The ninth track Spend The Night, which is what interests us, features Laroo, The DB’z, Droop-E, B-Slimm and none other than Iceland’s favourite pixie Björk. The song heavily samples her hit Oceania (the same one Kelis featured on) with Björk singing throughout the song. It’s impossible to pay attention to the men as Björk flawlessly and effortlessly drowns out their rhymes with her own unique lyrics and voice. Certainly an extremely strange collaboration that works so well on so many levels. Have a listen and let us know what you think? Do you like it? Dislike it? Does this peculiar collaboration work?